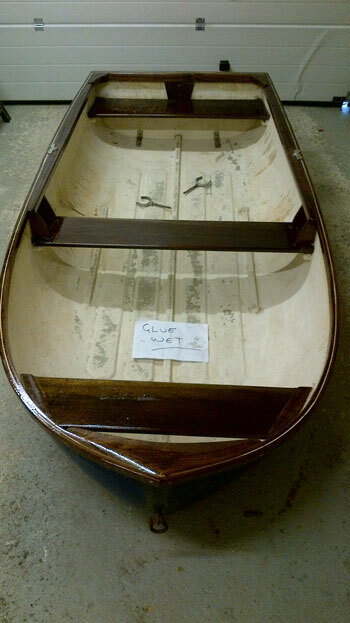 Before turning the boat over I gave all the timber a final sanding and then coated with epoxy. As you can see some areas of the timber were very dry and soaked up all the epoxy leaving a rough finish. Once the underside of the hull is finished I'll sand all the timber again and re-coat. It was a lot easier to turn this small boat over than the Slipper launch will be, all it took was 2 people and a couple of minutes. 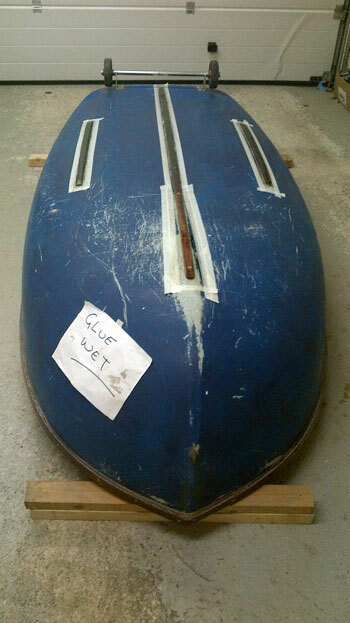 The underside of the hull was quite deeply scratched and a section of the centre rubbing strake was missing. So the first task was the repair the strakes before coating the whole underside in epoxy. 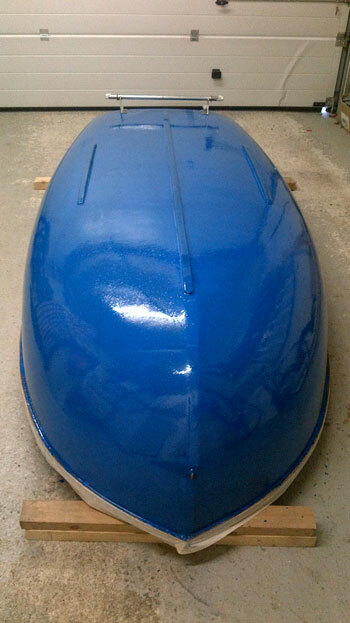 Next morning we gave the whole hull a coating of pigmented (West System 505) epoxy.